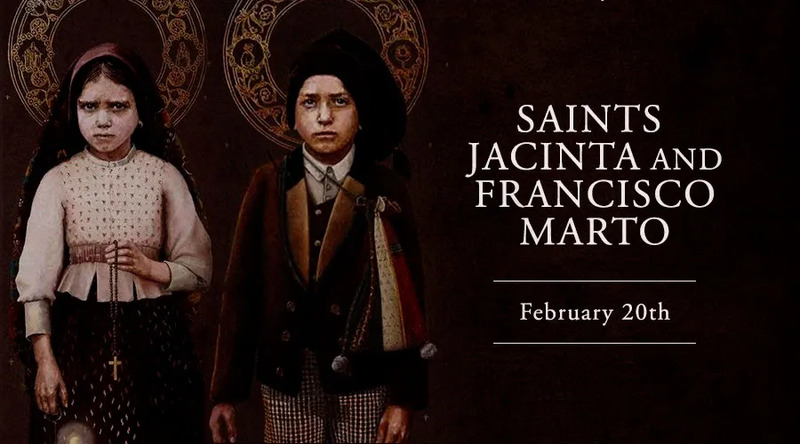 Francisco, 11, and Jacinta, 10, are the youngest non-martyrs to be canonized in the history of the Church. The brother and sister, who tended to their families’ sheep with their cousin Lucia Santo in the fields of Fatima, Portugal, witnessed the apparitions of Mary, now commonly known as Our Lady of Fatima. During the first apparition, which took place May 13, 1917, Our Lady asked the three children to say the Rosary and to make sacrifices, offering them for the conversion of sinners. The children did, praying often, giving their lunch to beggars and going without food themselves. They offered up their daily crosses and even refrained from drinking water on hot days. In October 1918, Francisco and Jacinta became seriously ill with the Spanish flu. Our Lady appeared to them and said she would to take them to heaven soon. Bed-ridden, Francisco requested his first Communion. The following day, Francisco died, April 14, 1919. Jacinta suffered a long illness as well. She was eventually transferred to a Lisbon hospital and operated for an abscess in her chest, but her health did not improve. She died Feb. 20, 1920. Pope John Paul II beatified Francisco and Jacinta May 13, 2000, on the 83rd anniversary of the first apparition of Our Lady at Fatima. Pope Francis on May 13, 2017 officially declared Francisco and Jacinta Marto saints of the Catholic Church in front of hundreds of thousands of pilgrims at Fatima, Portugal – teaching us that even young children can become saints.